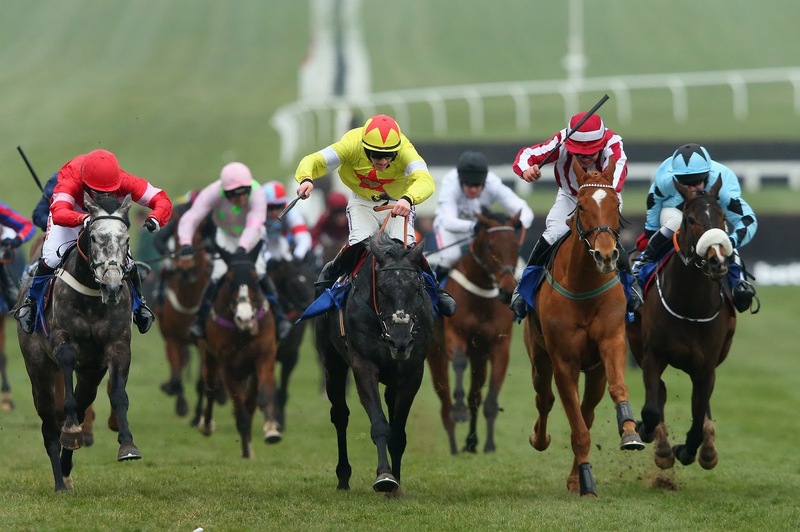 Some of the major bookmakers – including, at the time of writing, Bet365, William Hill, Betfred, 888Sport, RaceBets, Sky Bet and Paddy Power – are now betting ‘non-runner no bet’, or NRNB, for short, on all the races at the Cheltenham Festival. That’s good news for us, because it means that we can have a dabble at long odds in arguably the most competitive race of the week, safe in the knowledge that we’ll have a run for our money or, at worst, our money back. The one we have in mind for the aforementioned ‘dabble’ is Charlie Mann’s progressive 6-year-old Air Force One. The son of Mountain High is currently rated 140, leaving him at number 50 in the current list of entries; the safety limit for the Coral Cup is 26, so he’ll need a fair few to drop out but, at 16/1 NRNB, he looks an attractive betting proposition. He only had to be pushed out subsequent winner The Unit in a novices’ hurdle, over 2 miles 2 furlongs, at Taunton on his penultimate start and bettered that performance when staying on well to beat Divine Spear by 1½ lengths in a Class 2 handicap hurdle over a testing 2 miles 3½ furlongs at Ascot last month. That form bears close inspection and, while an 8lb rise in the weights makes life more difficult, he may be progressive enough to cope. Bookmakers are now starting to reveal their headline offers. 'My Betting Sites' have put together this comprehensive list of all the offers available. It's worth a look!